As I write this post, I'm listening to the Drive-By Truckers' "The Three Great Alabama Icons." It's a track that's spiky and edgy, but still kind of jazzy, mellow. It's a great distillation then, in words and music, of the paradoxes of growing up in the South, white, in the 1970s. It's not something I know about nor would assert I could comfortably talk about. So I'll let Patterson Hood do it. In the last few months, as we've done this podcast, I've been diving into 1970s history and, in a lot of ways, my own family's history. And not just funny childhood photos, either, but real tangible ways in which my family intersected with history. "You know, racism is a worldwide problem, and it's been since the beginning of recorded history, and it ain't just white and black, but thanks to George Wallace, it's always a little more convenient to play it with a Southern accent." Patterson Hood, "The Three Great Alabama Icons"
"[In the 1976 Massachusetts Democratic Presidential primary] Wallace came in third with 17 (though he scored 68 and 61 percent respectively in South Boston's two wards)." "My cousin was a speechwriter for Louise Day Hicks." 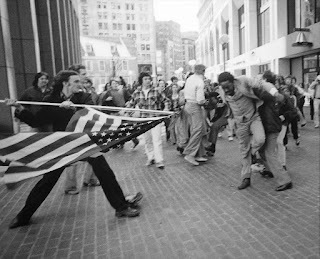 In 1974, the year before I was born, the busing crisis in Boston began. Desegregation was going to come to the insular Irish enclaves of Boston — Charlestown, South Boston, and to a certain extent Dorchester — by hook or by crook. 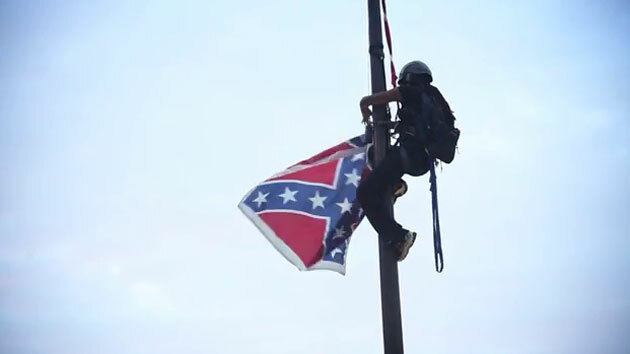 And this is where the pure, unfettered racism of the citizens of my city, Boston, was laid bare. This was the time of stones thrown at school buses, of rampant threats to city officials, of men assaulted with the American flag. I grew up knowing this. I grew up with these images on TV 10, 15 years after this spasm of violence and racism. I lived in a suburb, lily-white and Catholic. Archie Bunker Land, the tightly-packed, bathtub Virgin Mary-bedecked homes of Nixon's aspirational "silent majority," who all became Reagan "Democrats" in 1980. My parents and I didn't talk politics a lot as I was growing up; when I was a senior in high school and Bill Clinton was running, I was so full of adolescent indignation of 12 years of Republican rule that 1992 was my political awakening. And to be sure, my parents instilled me with a lot of fair, equitable values that I like to think I internalized at an early age. And yet. And yet. There were the racist jokes from extended members of my family at barbecues and "times" and holiday gatherings. There were the racist rhymes chanted on the playground that I naturally parroted in an effort to fit in and not be further bullied. And there was the revelation, all the way in 2015, more than 40 years after busing, that members of my mom's Irish family were actively involved in the effort to keep Boston schools segregated. The hand behind that American flag staff was, essentially, my family's own. "Somewhere out there beyond the firmament, past the asteroid belt, there were other worlds where children did not regularly fear for their bodies. I knew this because there was a large television in my living room. In the evenings I would sit before this television bearing witness to the dispatches from this other world. There were little white boys with complete collections of football cards, their only want was a popular girlfriend and their only worry was poison oak. That other world was suburban and endless, organized around pot roasts, blueberry pies, fireworks, ice cream sundaes, immaculate bathrooms, and small toy trucks that were loosed in wooded backyards with streams and endless lawns. Comparing these dispatches with the facts of my native world, I came to understand that my country was a galaxy, and this galaxy stretched from the pandemonium of West Baltimore to the happy hunting grounds of Mr. Belvedere." We recorded this week's podcast before the events in Charleston, South Carolina. Before the sweeping wave of... seriously-delayed awakening? Collective guilt? 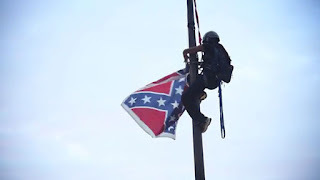 led to people taking down the Confederate flag everywhere... by hook or by crook. But this podcast episode — yes, a podcast that is generally about a disposable sitcom from the late 70s and early 80s — this particular episode is also about the South, and Southern culture, and yes, to some extent the racism we see in a young kid of that generation, MY generation, and the reaction we three white guys, from Canada, and from Boston, and from Arkansas, had to it in 2015. It's a minefield, one scattered with studio audience chuckles and guffaws, but one that I've been sometimes scared and ultimately pleased to navigate. This silly little podcast has led to me diving into history I lived through, surely most of it as a kid, but looking at it critically. Directly. Not looking away. Seeking where exactly my hand lies on that flag staff.